Four manufacturers — Sorbent JSC in Perm, Tambovmash JSC and ARTI-Zavod JSC in Tambov, OJSC «EHMZ named after N.D.Zelinsky» located near Moscow — work under the brand of Zelinsky Group Ltd.
For more than 80 years, factories have been leading developers and manufacturers of various means of individual and collective respiratory protection (PPE) - gas masks, respirators, self-rescuers, filter absorbers that meet the requirements of international standards and technical regulations. The deepest roots and outstanding history, valuable experience and ability to innovate - this is what unites the four manufacturers under one brand of Zelinsky Group Ltd. The development of personal protective equipment is conducted on the basis of innovative principles using the latest materials and advanced technologies. Zelinsky Group has a goal - to protect the population in emergency situations and to provide industrial workers with the means of effective protection from exposure to hazardous chemicals. Currently, enterprises are leaders in the Russian market. 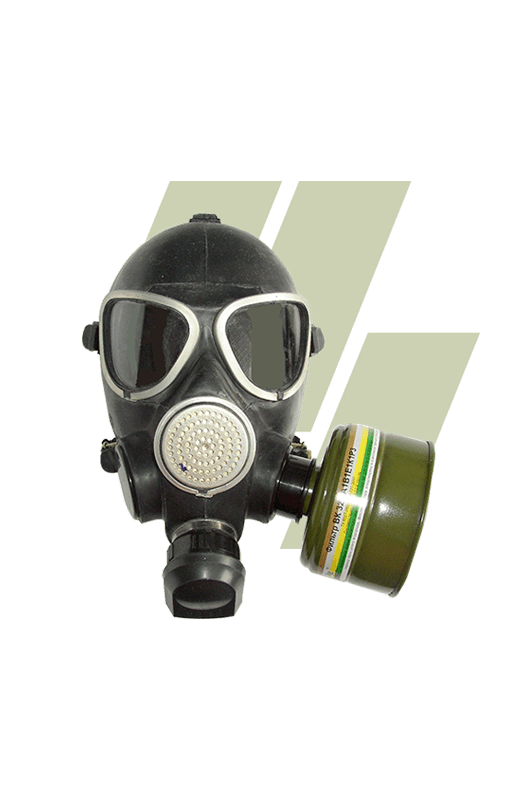 Zelinsky Group Ltd supplies components in an expanded range, necessary for the production of personal respiratory protective equipment, and also supplies chemical raw materials for the production of components. Tambovmash JSC, Sorbent JSC, Arti-Zavod JSC and OJSC «EHMZ named after N.D.Zelinsky» have been empowered to represent the interests of the whole association in state bodies, services and departments, industrial enterprises and companies. The Corporation also has the right to control the stages of passing the goods from the manufacturers to the consumer. All products have military and factory acceptance for quality and meet all the declared standards, including international ones. We design and manufacture products with desired properties and to order. We assist in the selection and maintenance of PPE. We consult on the development of corporate standards in terms of requirements for personal protective equipment, as well as other aspects of safety and protection of people's health. More than half a century of experience in the field of sorption technologies allows us to comprehensively solve the problems of gas protection, and the presence of a developed scientific and production base - to constantly improve mass production and create new products with excellent consumer properties. The quality control of products is carried out by the technical control department and the military representative of the Ministry of Defense of Russia, which ensures high quality and reliability of our products. The official date of foundation of the Joint Stock Company Electrostal Chemical-Mechanical Plant named after N.D. Zelinsky is June 28, 1937. The main purpose of the plant was the production of individual and collective means of protection. August 26, 1939 was the official date of creation of the enterprise based on the production of activated carbon. Tambovmash JSC is a diversified industrial enterprise founded on March 17, 1944. The main products were chemical equipment and spare parts for it.